It’s difficult enough to think about all of the traditional worries of trying to conceive, actually becoming pregnant and giving birth to a healthy full term baby. But imagine having to think a bit further in efforts to consider the effects a chronic illness can have on the pregnancy. In light of Epilepsy Awareness Month, I wanted to address a few of the questions that most women have when trying to conceive with a Epilepsy or a Seizure Disorder. After being married for a few months, my husband and I decided it was time to expand our family. We took all the proper steps and precautions necessary to prepare ourselves for what this journey would entail. We decided to stop taking any medications during the pregnancy to ensure that the baby wouldn’t experience any birth defects or complications. It was a scary decision since this meant more risks for me. Although we had a child already and know what to expect, my seizures exposed me to a new set of worries, complications and risks beyond the typical issues of pregnancy. After doing loads and loads of research I stumbled upon the answers to most of the questions I had and I’m sure other women in my position have as well. The following is a Q and A of the most asked questions by women with Epilepsy who are thinking about becoming a mom, actively trying to conceive or are already pregnant. Some drugs used to treat seizures might contribute to infertility. However, certain anti-seizure medications can also reduce the effectiveness of hormonal birth control methods. The doctor will request to see you frequently throughout the pregnancy to monitor the baby. 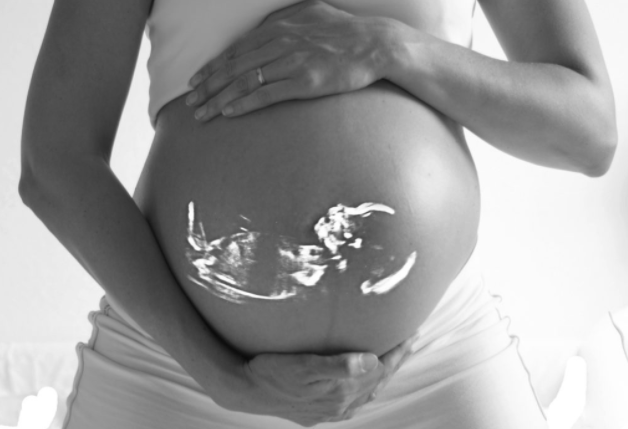 It is recommended that your Gynecologist and Neurologist communicate regarding your care during the pregnancy. You want to have a plan for any possible situation that may arise. Does epilepsy change during pregnancy? Every woman reacts to pregnancy differently. For most pregnant women who have epilepsy, seizures remain the same. For a few, seizures become less frequent. For others, particularly women who are sleep deprived or don’t take medication as prescribed, pregnancy increases the number of seizures. Any medication you take during pregnancy can affect your baby. Birth defects — including cleft palate, neural tube defects, skeletal abnormalities, and congenital heart and urinary tract defects — are the primary concern with anti-seizure medications. For babies whose mothers take anti-seizure medication, the risk of major birth defects is 4 to 6 percent — compared with 2 to 3 percent for all babies. The risk seems to be highest when more than one anti-seizure medication is taken and when a form of the anti-seizure medication valproate (Depacon, Depakote, Depakote ER, others) is used. A few women can safely taper off their medication before pregnancy. For most women, however, it’s best to continue treatment during pregnancy. To minimize the risks for you and your baby, your health care provider will prescribe the safest medication and dosage that’s effective for your type of seizures. What does my epilepsy mean for my baby? Beyond the effects of medications, babies born to mothers who have epilepsy also have a slightly higher risk of developing seizures as they get older. Before you try to conceive, schedule an appointment with the health care provider who’ll be handling your pregnancy. Also meet with other members of your health care team, such as your family doctor or neurologist. They’ll evaluate how well you’re managing your epilepsy and consider any treatment changes you might need to make before pregnancy begins. Take your anti-seizure medication exactly as prescribed. Don’t adjust the dose or stop taking the medication on your own. Remember, uncontrolled seizures likely pose a greater risk to your baby than does any medication. Like any pregnancy, we are given a laundry list of DO’s and DONT’s to keep us on track to having a healthy baby. Unfortunately, women with Epilepsy or Seizure Disorders have a few extra precautionary steps to make sure their health and their baby’s health is ok. So they all can enjoy all of the wonderful moments, aches and pains, sleepless nights, cravings, swollen body parts and their blooming belly’s until that special day that they meet their little bundle of joy. Jewel Gibson is the founder of Live Out Loud 4 Epilepsy, which seeks to help educate, embrace, empower & encourage those whose lives have been affected by Epilepsy and other Seizure Disorders. Jewel strives to empower others through her advocacy for awareness, motivational quotes, health and wellness advice, and her personal journey with her own seizure disorder. She is a wife, proud mom of two boys, a successful career woman and lifestyle blogger. Check out her website out at www.liveoutloud4epilepsy.org.